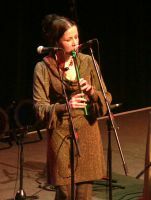 Irish traditional singer and flautist Nuala Kennedy performs a range of material from across the Irish and Scottish traditional music repertoires. She also composes her own idiosyncratic brand of traditional music and tours in a variety of line-ups from duo and quartet to a nine-piece festival band 'The New Shoes' with whom she recorded her debut album released on Nashville's Compass Records (2007). It received four-star reviews from the national Scotland on Sunday newspaper, Songlines Magazine and was voted traditional album of the week by The Irish Times. 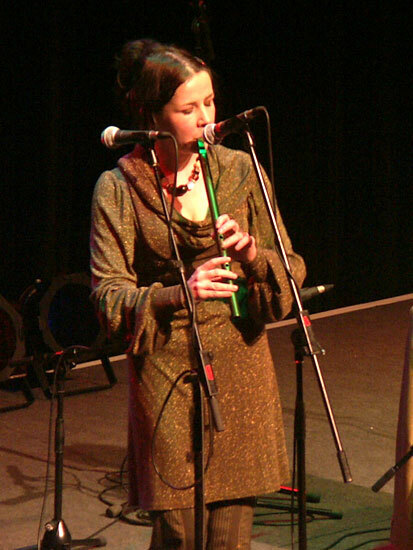 "I have played Colin Goldie's whistles for many years and recommend them without hesitation. Friends and colleagues who have bought them agree that the service Colin and Brigitte provide is second to none, and the whistles themselves are top quality. If you would like a top quality whistle with character and depth of tone, Colin Goldie should be your first stop!"